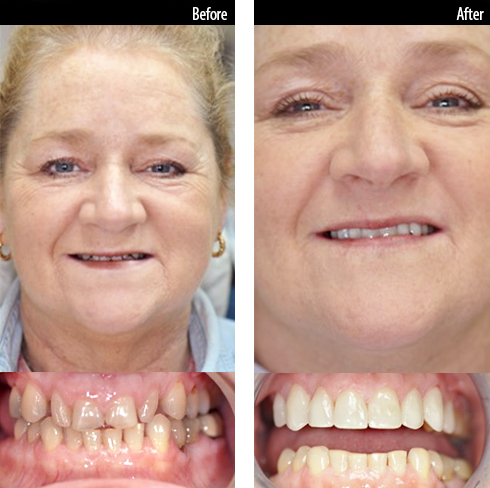 This patient received eight porcelain veneers on the upper arch. 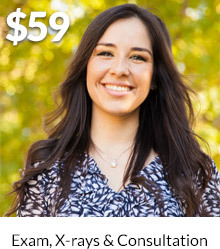 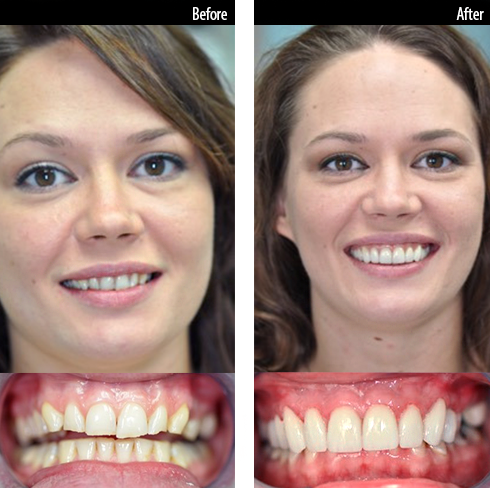 This patient received three veneers and five porcelain crowns on the upper arch. 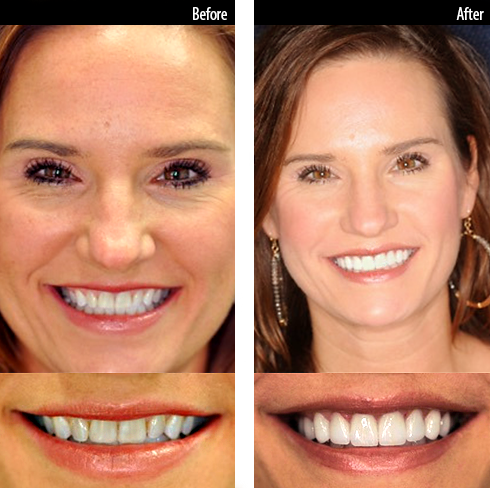 This patient received ten zirconia veneers in the upper arch. 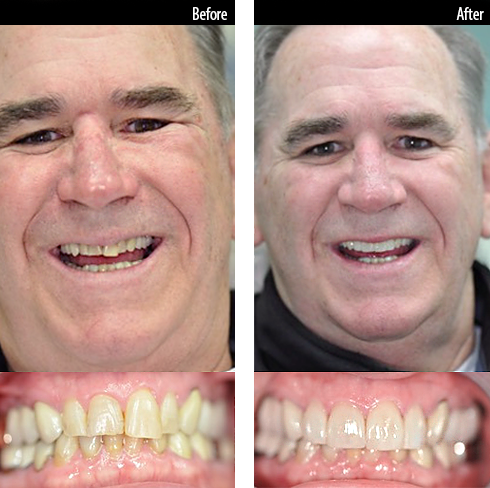 This patient received eight porcelain veneers to improve his smile. 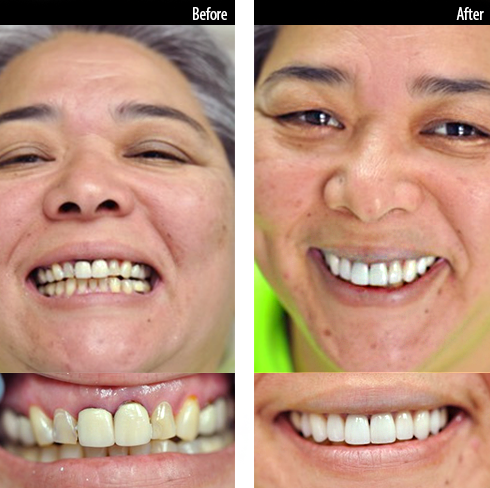 This patient received multiple bridges, an implant, implant crown and porcelain veneers on the upper arch. 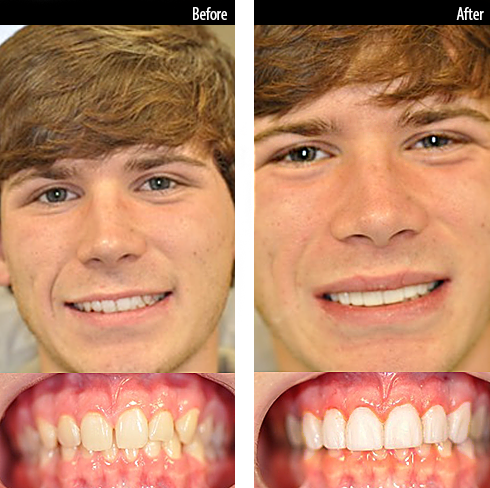 He received 4 porcelain veneers in the upper arch.